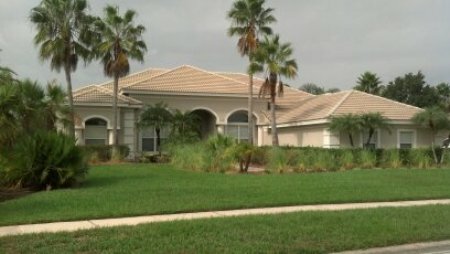 Peerless Pressure Inc. has been roof cleaning Cheval homes and buildings for over ten years, here are pictures of our latest project. 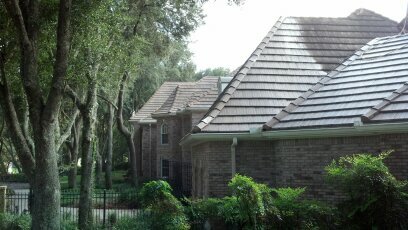 This roof was cleaned with a heavy TSP mixture to remove sediment and debris. 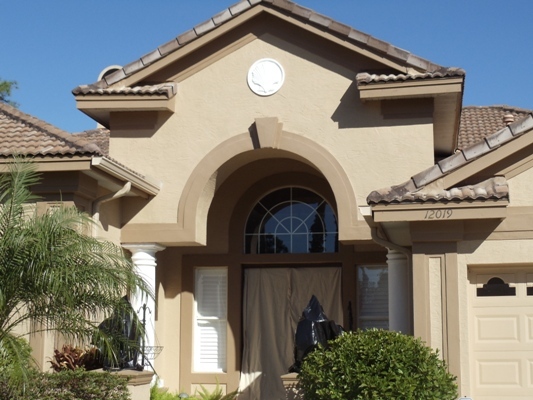 This house exterior painting was completed last week 11-10-2013 by our professional crew. This home received 10 gallons of Sherwin Williams Loxon Sealer and 35 gallons of Superpaint. 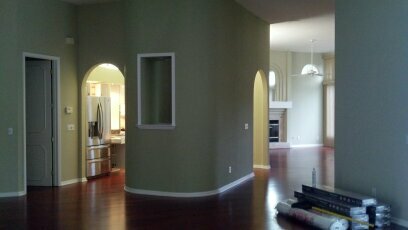 Peerless house painters in Valrico FL completed this entire project this week. The home was to be completely repainted from top to bottom. Our washing crew started with the exterior while our interior painting crew was busy preparing all of the walls and ceilings for coating. 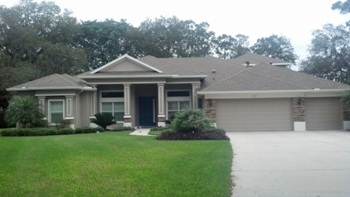 This home was located in the Legacy Club of Lakewood Ranch. 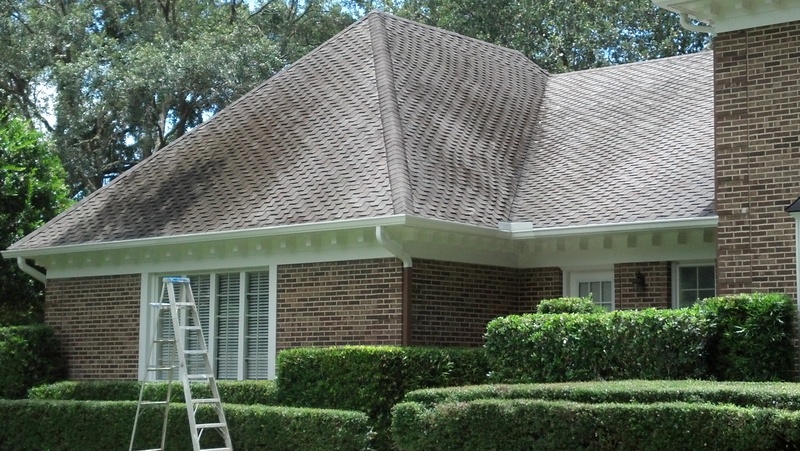 Roof Cleaning and the entire home was soft sprayed and rinsed by our crew. The before and after pictures of the roof cleaning project came out great. 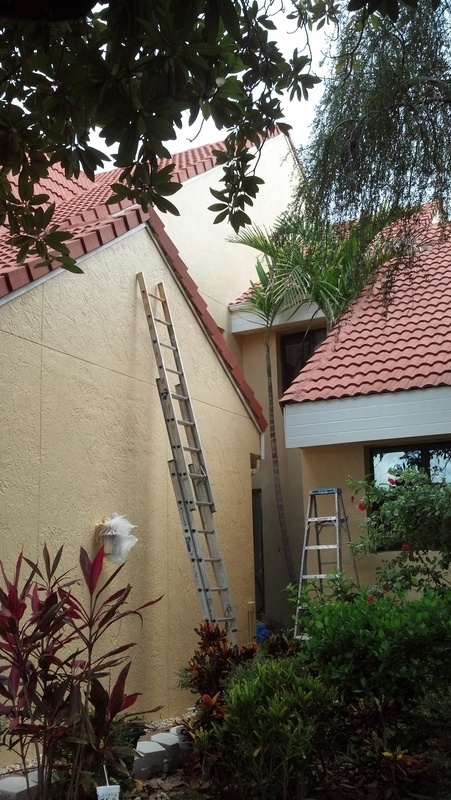 This house located in south Tampa received a total paint job inside and out. The exterior house was painted first while some other tradesman worked inside. PEERLESS Painters sprayed the ceilings, walls and all doors and trim.